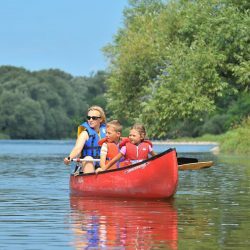 Canoeing the Grand offers canoeing, kayaking, and tubing trips along the scenic Grand River. 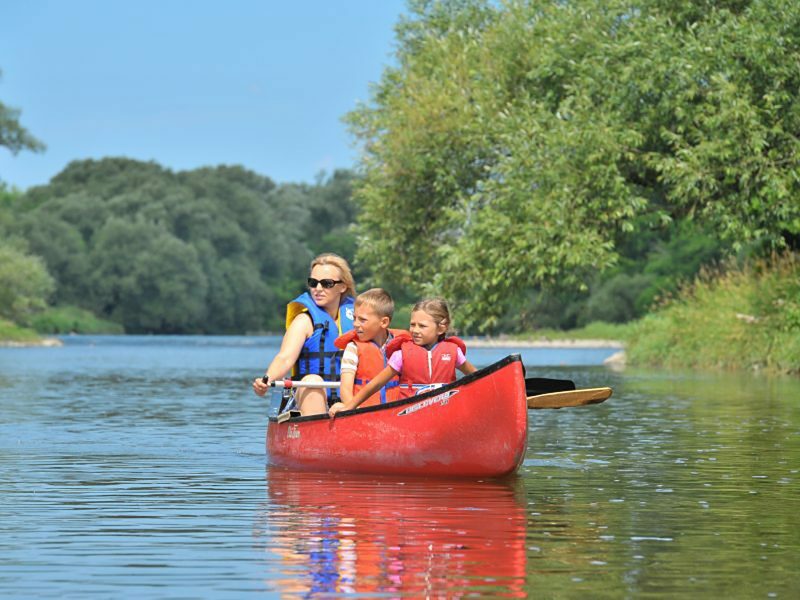 They provide direct access to the river, and proximity to many more points along nearly 100 km of river trails. 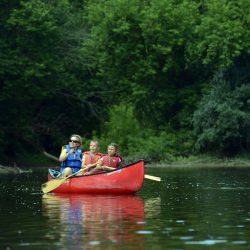 ** New for 2019: Following three seasons of bridge construction, Canoeing the Grand will be re-opening the Blair and Riverbluff runs and look forward to re-introducing this section of the river to their patrons! 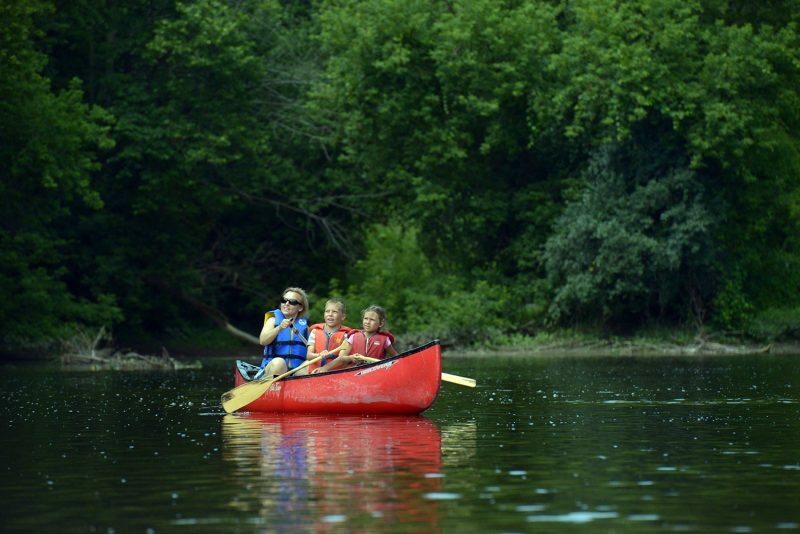 All trips offered by Canoeing the Grand are unsupervised and vary in time from 90 minutes to eight hours. 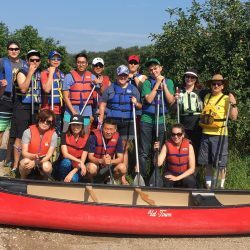 Distances range from seven to 38 kilometres, or up to 20 kilometres for trips that include a portage. Depending on the trip, participants either begin their journey from Canoeing the Grand’s location, or are shuttled to their starting point. 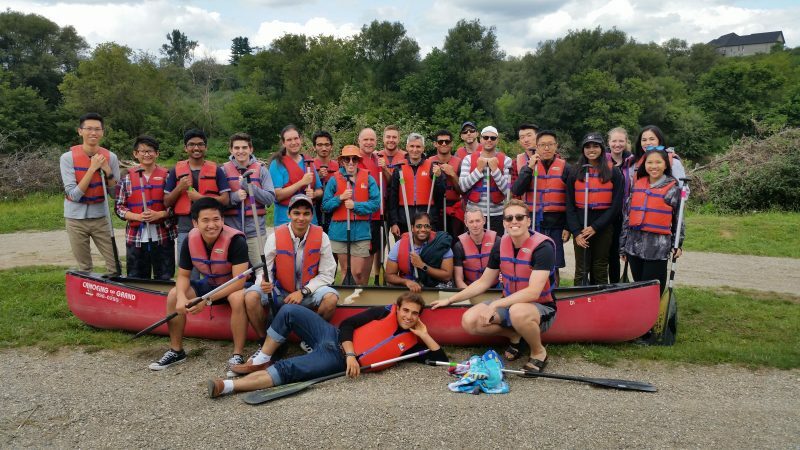 Trips are divided into the skill level required for the journey. 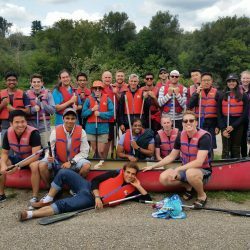 As safety and comfort is their first priority, Canoeing the Grand offers free dry land basic canoe enter/exit, paddling and safety communication instruction on request. 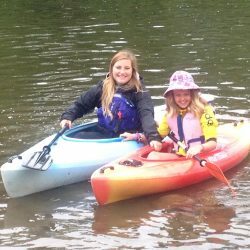 They also provide an on line Safety and Paddling 101 handout, as well as river hazards awareness literature. 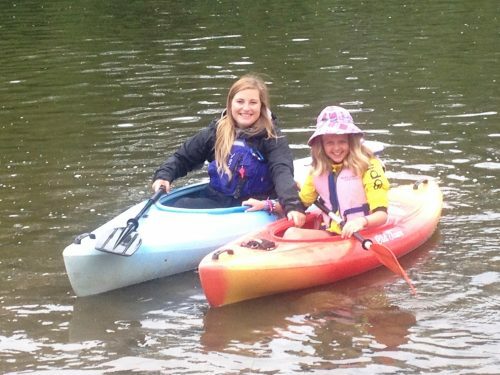 Each trip includes two life jackets, paddles, a boat, parking, and shuttle service. 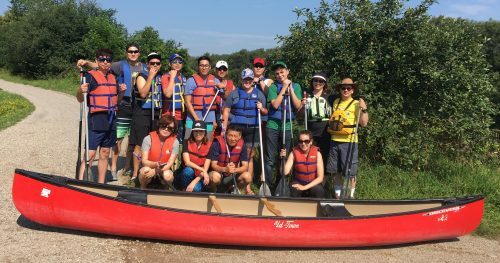 Although the company specializes in shuttled trips, canoes are also available for hourly or daily rental. Canoes, kayaks (including tandem kayaks), tubes, and paddleboats are all available at Canoeing the Grand. 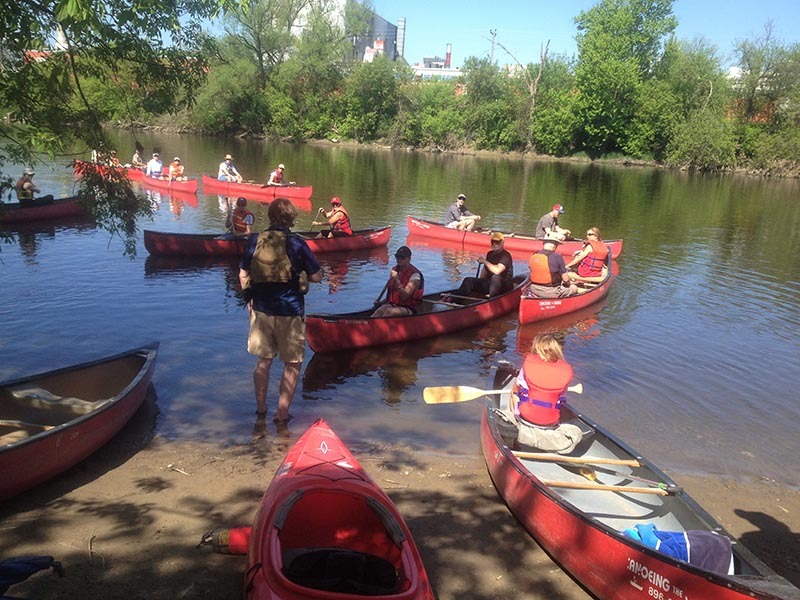 While bringing your own canoe instead of renting one is permitted, they recommend using the boats provided as they are designed to take the impact of the rocky bed of the Grand River. 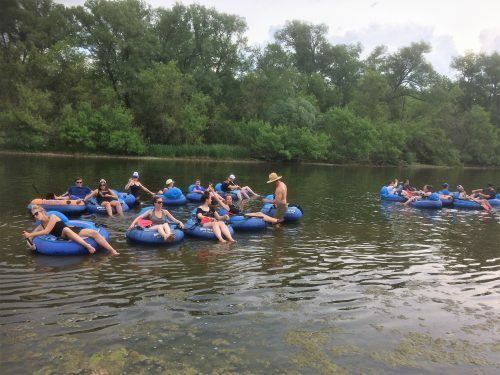 Tubing is offered along the shortest stretch of river (seven kilometres), and is the perfect way for those who like to take it ‘slow’ to enjoy a leisurely ride down the Grand River with friends and family! A day of paddling is a great way to show appreciation to employees, or provide groups with the experience of a retreat. 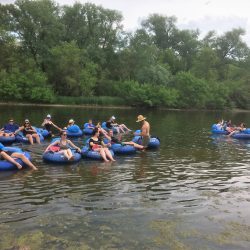 A picnic area is available by reservation; Canoeing the Grand is happy to work with groups to create a unique event. Canoeing the Grand also provides canoes, paddleboats and water bikes at its location in Victoria Park in Kitchener, so boaters can enjoy a ride on Lake Victoria. Rentals at the Victoria Park location are available Saturdays, Sundays and holiday Mondays. Elmira Wagon Rides offers FREE tractor and wagon rides from the train station in downtown Elmira and back. It's a great opportunity for visitors of St. Jacobs and the St. Jacobs Farmers' Market to explore what Elmira has to offer.